Darker than ever and this time focused mainly on old civilizations, mythology and nomadic people, the new album, is a breath of fresh air in the Electro-Industrial scene. 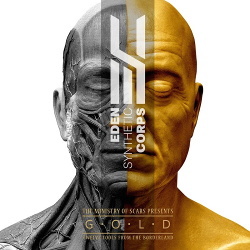 Broadening the range of vocals and the diversity of the styles, ESC's sixth album named "GOLD" is soon to become the band's most mature and polished album yet. Maintaining the trademark dark, aggressive style of the band and mixing even more melodic elements on the band's first non-concept album, ESC are trying to reach a broader audience in and outside the Dark-Elektro/Harsh Industrial audience.